One of the problems with N95 is that it can do so much it takes ages to try all the different bits out. The last couple of days I have been utilising a couple of the features on the N95 that I hadn’t quite got around to. I started with the podcasts, and that led me on to the QR Codes. I have always found podcasts to be one of those things that have great potential, but I have never managed to quite get to work for me. Previously this has been due to my need to download the relevant files to my computer before transfering them to my MP3 player, which I never managed to successfully fit into my schedule. The N95 however, allows me to subscribe and download directly to the phone…podcasting is alive and well once again (although seemingly too late for Yahoo’s Podcasts site). A topic that occured on a couple of the podcasts I subscribed to this week (one of which was Digital Planet) was QR Codes. Whilst they have been around for a number of years, and are supposedly big in Japan, they have hit the news now as they are being incorporated in an advertising campaign for the 28 days later DVD in London. Basically the 2D barcodes allows for the inclusion of over 4,000 alphanumeric characters, which can be read through a mobile phone with a camera and the required software. Some phones, such as the N95, come with the software installed, whereas others need to have it downloaded. Personally I think that the 28 weeks later advert gets it wrong by including a URL in normal text on the bottom. QR Codes are engaging when you don’t know what they say. If I saw a QR code on its own I would scan it; seeing it with the URL for a film I don’t care about, I don’t bother because I know I am not interested. Obviously, if QR codes take off in the UK, we will become immune to most of them, and will need the extra information to persuade us that they are worth looking at. At this stage however, I believe a bigger buzz would have been created without it…but there again some of the other views of the people behind the campaign are quite questionable. 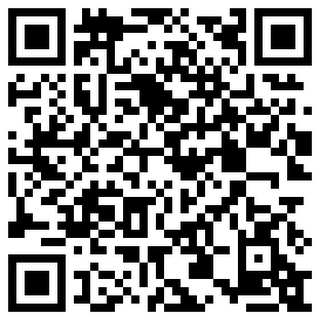 Personally I like the potential of the QR codes, and I am currently trying to get a T-shirt printed with my own personalised QR code message on it. QR codes are some type of a system that you either have to subscribe to or you have to deny it. If one is using QRs for his internal purposes it might be okay in his special sense of application. if one is using QRs in public traffic it might be questionable because QRs are not human readable, but they take up space in our environment and they thus make life more complex. even if it is only for the one and only sake of identfying them with your bare eye and then ignoring them. thionk about price tags in a supermarket – they would grow to either twice the size for beeing used with QRs along side the normal usage (which in some case is already not feasible due to the density of tags). if skipping the normal price letters, anybody is ENFORCED to have and use such a QR reader – even if offered from the markets owner for the time of the visit. you can imagine there are really interesting options for the shops owner getting an idea what products the customer looked for but did not finally take a buy. in a more general way of understanding, QRs are a way of encoding information so taht only digital systems will be able to read them for you. so this is the perfect man in the middle attack. it wakes up greeds of mind control where there is a big brother looking over your shoulder that is exactly knowing what you were reading and where you were going for the whole time of your life since you mainly switched over to the QR system. As everything goes on digital in such a QR only world plan, in the first row everything informational vanishes from the plain vision of the human and migrates into an obscure intermediate layer that is able to do anything to us that you (never) ever would imagine. access to QRs is open at this time, but who would hinder you to encrypt such tags in a form that only a selected group of authorized people will be able to decipher them? QRs are information, but it is no good to hide any such information from any sort of normal humans, even if it is easy and handy to get access to it. imagine a big library of books where all of the books have the very same cover and no prints at all on their outer side. thats not the way QRs were meant to be. QRs are an attribute, a tag, a helper for the phase where you want to deepen something on an item you have basically understood. QRs can be valid and good link items – but they can not at all replace any items base information. By the way, why should it be impossible to create a merged system of human readability and computer based readability – OCR is working for ages as well, so why not teach our mobile devices with their trhilling high camera resolutions to read any stupid old style URLs in a plain text form? the humans intention was to rule the machines they built, and probably not to establish the vice versa. but at some days i am falling into serious doubts that the humans are still on track with that idea.